To start with, the MITERS-originated oneTesla Kickstarter is now up (and already funded! ), so you can now buy your very own musical Tesla coil kit. It's pretty amazing: up to 23" sparks from a 10" coil using regular old TO-X IGBTs. And the custom MIDI interrupter can play up to two MIDI notes at the same time. Anyway, work has been progressing on my Dual-Resonant Solid-State Tesla Coil. I finished most of the mechanical construction in Δt1 and Δt2, so that mostly left soldering and testing of the driving electronics. The power electronics comprise a MOSFET H-bridge, using just one IRFP4668 and one APT100S20B Schottky diode per leg (with the option to add a second FET per leg for higher power). This, combined with 2000uF of electrolytic bus capacitor and the ACNW3190 optically-isolated gate drivers form the power board, which rests on a large heat sink directly below the coil. 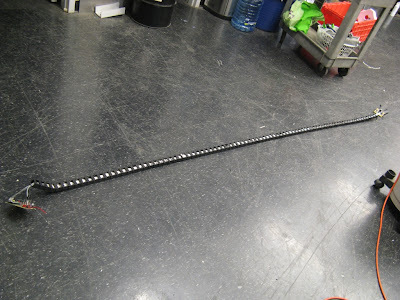 I found 10ft of energy chain and bought 10ft of shielding from the last Swapfest for making a a long run of shielded cable to go from the power board to the signal board. The cable has 15V power, ground, and four differential gate drive signals, each in a cable shielded with signal ground. 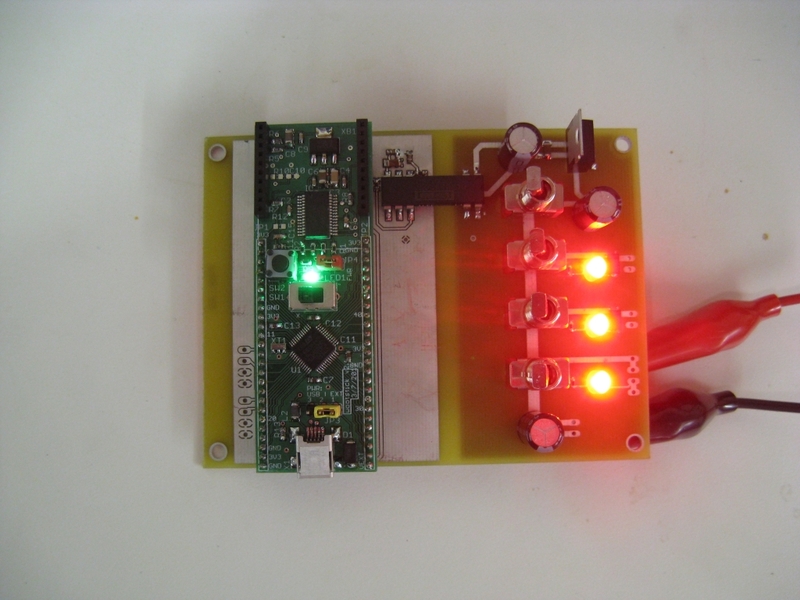 The gate drive signals are relatively low-impedance, since they drive the opto gate drive LEDs. At least a few mA is required to change their state, so they should be relatively immune to EMI, compared to logic-level signals. 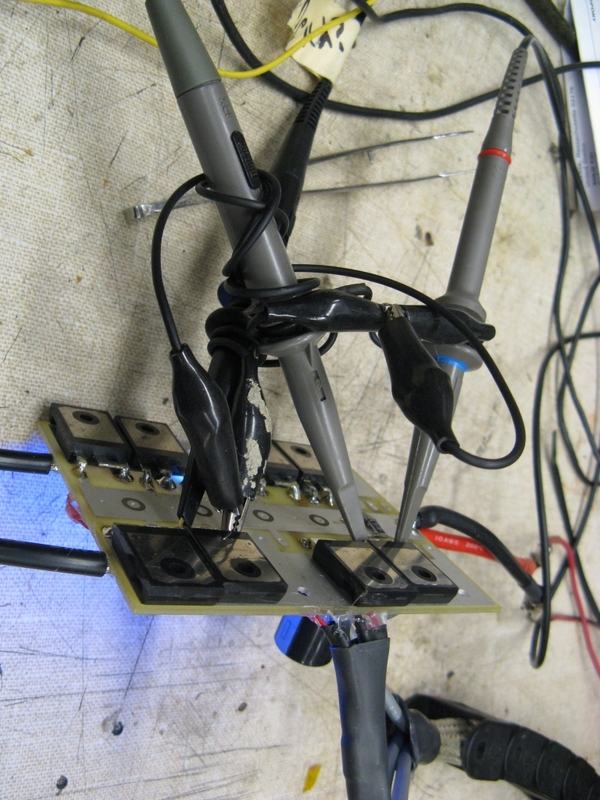 However, it's still very, very necessary that the LED drive lines be tightly grouped and shielded. 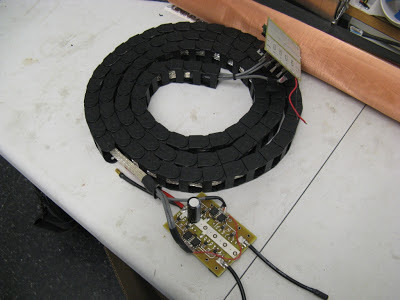 The outer shielding is connected to RF ground at the base of the coil, and is mostly there to protect against arc strikes on the cable assembly. The whole thing coils up for clean storage. Anyway, having full 72MHz operation is nice because even though there isn't much processor-intensive control code, the frequencies and timing on the Tesla coil are much faster than those of the motor controller. The switches and lights on the right side control and indicate various levels of arming the coil, including the 15V gate drive power supply, a precharge and a main relay, and the logic power supply. 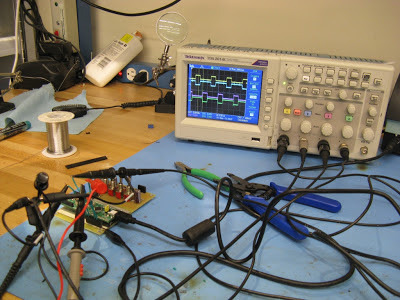 In order to isolate the microcontroller logic supply from the 15V gate drive supply, I use the DCR021205 that worked so well on my 3ph v3.1 motor controllers. The rise/fall times are ~100ns and the deadtime is about 377ns, using 220-ohm / 1.5nF on the deadtime generating circuit. With bus voltage, the turn-on and turn-off will be longer due to the Miller plateau, but it should still be well shorter than the deadtime. At 150kHz, two 377ns deadtimes accounts for about 11% of the PWM cycle. 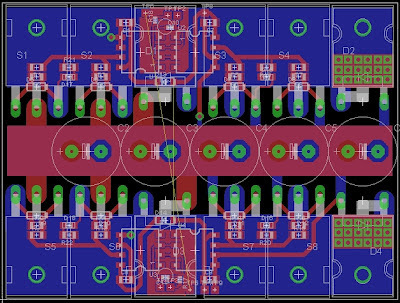 This would be a bit long for motor controller operation, but it's okay for the Tesla coil driver, which will spend most of it's on-time operation at or near 50% anyway. 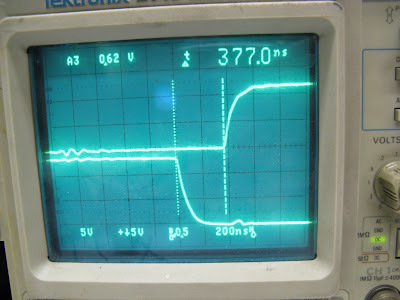 The current on the primary (measured using a current transformer) rings up to some maximum value quickly as the square wave voltage excites the resonant circuit. (The current itself is mostly sinusoidal.) 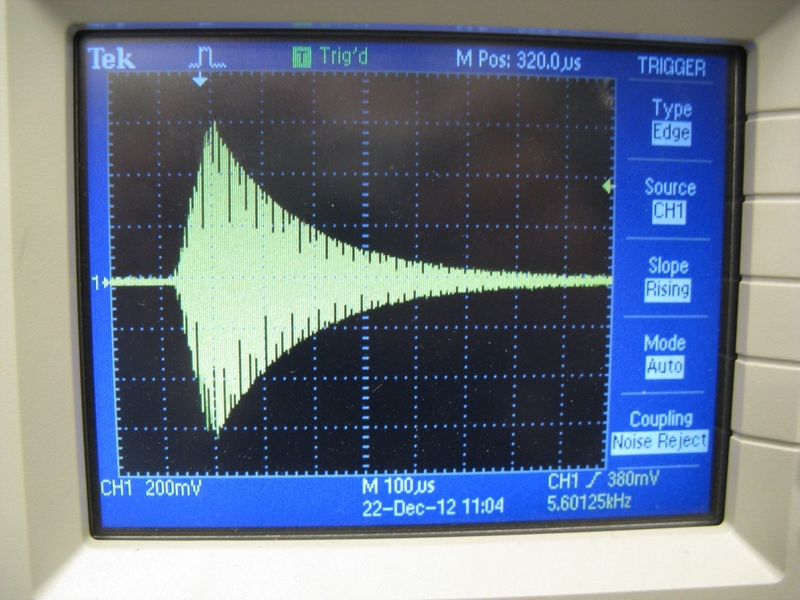 Then, after the drive pulse ends, the energy in the primary is slowly dissipated in its resistance. With a secondary in place, energy would be coupled into the secondary coil and the primary current would look a lot different. 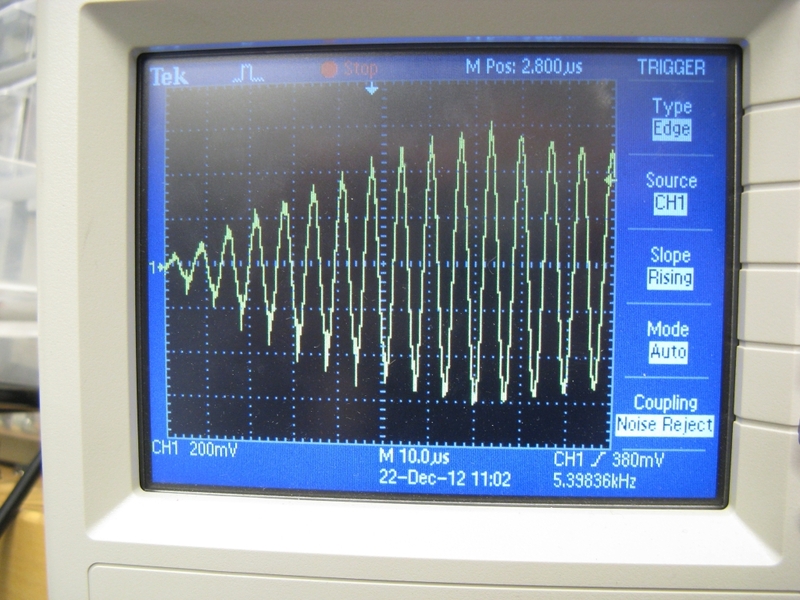 But for testing purposes, using the primary alone at low voltage allows me to actually scope things. The magic number in this case was about 90mΩ, which seems accurate given that the skin depth on my 8AWG grounding wire is probably making it act more like 14AWG wire. 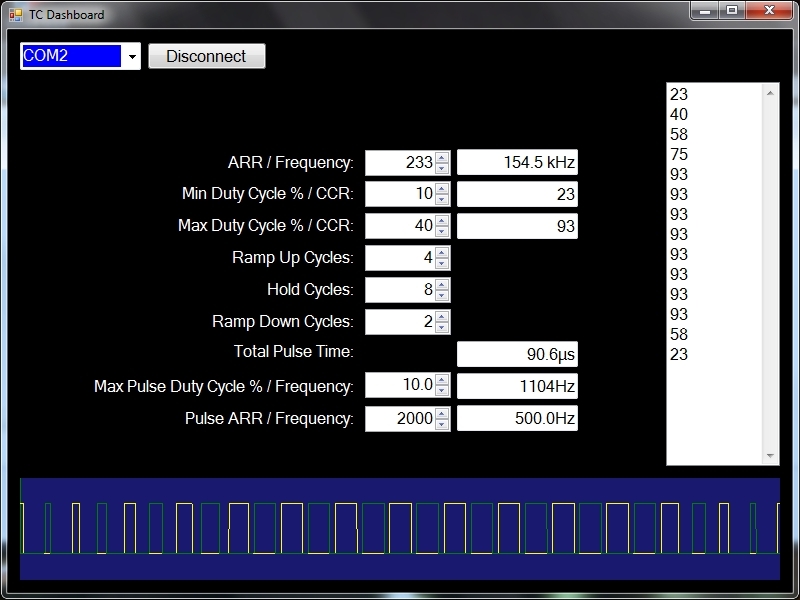 But anyway, I now have a more precise simulation of the exact pulse sequence, including ramping and duty cycle control. This should be useful when it comes time to ramp up the power. Next step: ramping up the power, tuning, and hopefully generating the first sparks! have you messed around with gate drivers like IR2302 (works off 5v supply) , and used it with logic level mosfetss ?? I've only used the IR2105 and the IR2184, which are for 10-20V gate drive. I think they are similar to the IR2302, at least in operating principle. 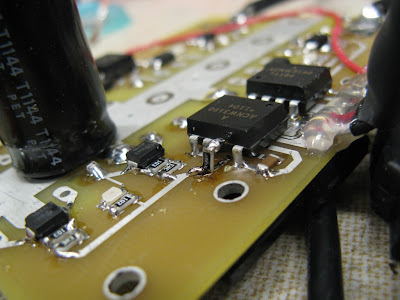 They work well but may require more careful circuit deisgn and board layout to prevent ground loops and keep the logic side from seeing gate drive noise. You can always add opto-isolators to the inputs and have the equivalent of a gate drive optocoupler, too. 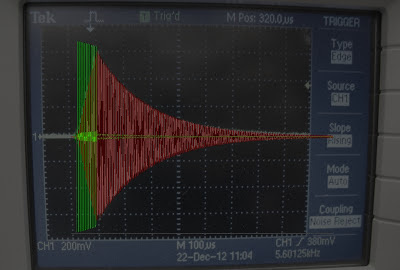 You got good looking gate wave forms, but your current wave forms tells me that your DRSSTC is far out of tune, the energy transfer takes way too long. 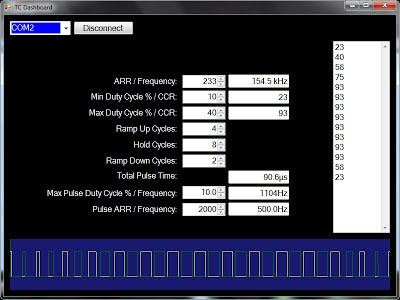 Tune it dead on according to JavaTC and lower the frequency of the primary circuit step by step until you find the sweet spot. 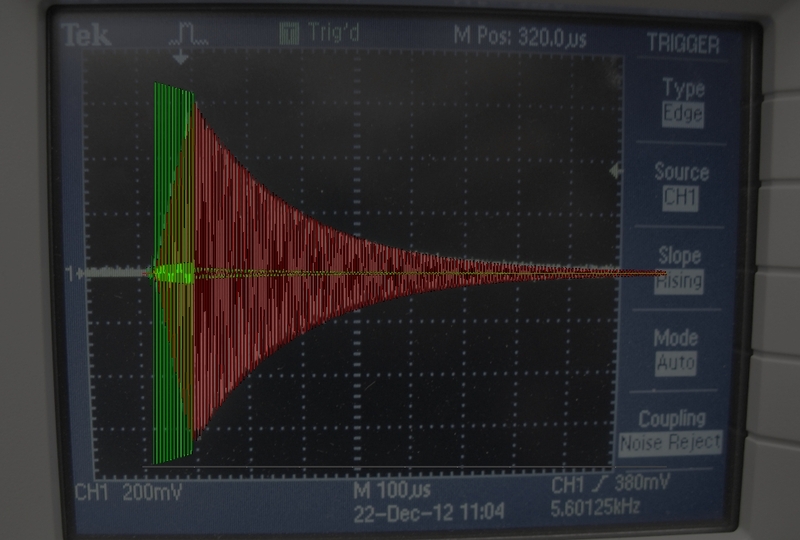 It is only within a few cm on the primary coil. Thanks for the feedback on this and my other DRSSTC posts! Great to have somebody with so much experience building them along for the ride. Unfortunately I haven't really touched this project since I moved but hopefully I will get back to it soon and do some real tuning!